Rovers this weekend come up against a resurgent Southend United under Chris Powell after a two-week break since their last game. “They’re a very improved team, Chris has gone in there and got them very organised, I’ve played against Chris’ teams quite a few times . “They play off quite a solid formation, I don’t see that changing too much for Saturday, perhaps a change in personnel with the result last week against Walsall, but the first five games: four wins and a draw is a fantastic start! “It will be a tough match, in terms of the pedigree experience-wise they’re the most experienced team and they have six players who have played in the Premiership. They know how to play in terms of their shape and their pitch is awful, so that’ll have to come into it, but I don’t think it’ll be a game for the purest." In matters of team news, Rovers are handed a boost with Joe Wright, Mathieu Baudry, Andy Williams and Issam Ben Khemis who have all returned to training with some being available for selection this Saturday. Defender Andy Butler, on the other hand, has suffered a setback which could keep him out for the next two games. Southend has one of the best home forms in the league as they've picked up 32 out of a possible 54 points at Roots Hall. However, only 21 goals of their 54 scored this season has come at home whereas more than half of Rovers' 44 goals scored this season have has come on the road. In the reverse fixture this season Rovers came out 4-1 victors at the Keepmoat, with a hat-trick in the space of ten minutes for Ben Whiteman after Anthony Wordsworth gave the Shrimpers the lead after the midfielder controversially kicked Jordan Houghton while he was down, but remained on the pitch. Rovers' last trip to Roots Hall came on the 2nd January 2016 where they won 3-0 with goals from Andy Williams, Aaron Taylor-Sinclair and Nathan Tyson. Rovers are also on a six-game unbeaten run against Southend, with their last defeat coming in 2007 with a 3-2 scoreline. Rovers head to local rivals Rotherham this Saturday aiming to earn back-to-back league wins for the first time this year. “I feel that the players who played on Saturday have earned the right to go again and I feel that their performances warrant another start. These are the ones where I wish I was playing again because honestly I would love to play on Saturday. Full-house, two-and-a-half thousand fans of ours, proper game, the early part will be blood and thunder. There will be an assessment on Luke McCullough who picked up a knock during the win against Fleetwood Town but he’s expected to come through his test okay. Ferguson himself has also confirmed that the 18 who featured in last Saturday’s win will be involved in the derby this weekend. 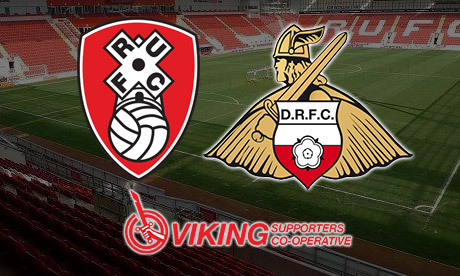 The last time these two local sides met was back at the Keepmoat in November which finished in a 1-1 draw following a late equaliser from Kieffer Moore – who has since left the club – following Richard Wood giving Rovers an early lead after an own goal. This will be the first time Rovers have played at the New York Stadium, otherwise known as AESSEAL. 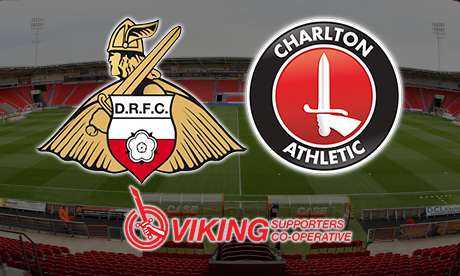 The last time they visited Rotherham was in 2006 and it finished in a goalless draw. Only one player remains in the side from that result 12 years ago and that is the veteran James Coppinger. Darren Ferguson thinks a win is overdue for his side who are still searching for their first win of 2018. “You look at the manager [Karl Robinson] and he’s played a certain way in his career – this team is no different. Very fluent, good footballing team and a lot of good dribblers in the team. It will be a good football match, two teams that will try and play, and we’re looking forward to it but certainly in areas of the pitch we’ll have to be good and stop them to cause them problems. After coming on around the hour-mark in the draw against Portsmouth last weekend, Alex Kiwomya and Luke McCullough are both match-fit and ready to potentially claim a place in the starting 11. Meanwhile Andy Butler and Joe Wright have begun their training this week, while Mathieu Baudry is scheduled to return to training on Monday morning. Captain, James Coppinger, is set to earn his 500th EFL cap this weekend which comes after scored in his 14th consecutive season for Rovers last weekend. Out of Charlton’s 39 goals scored this season, only 15 of them have come away from home while Rovers have scored 21 of their 36 goals this season at the Keepmoat. As a result, Charlton score and average of 1.15 goals away from home while Rovers score on average 1.40 goals at home. Earlier on this season, Rovers were denied a point as Tariqe Fosu-Henry’s ninth-minute goal was the only thing to separate both sides. Charlton’s last visit to Doncaster came in 2014 where Rovers won 3-0 thanks to goals from Abdoulaye Meite, Chris Brown and Mark Duffy. Overall, Rovers have only won 3 out of 9 games played against Charlton since 1935 in all competitions. Darren Ferguson believes Rovers need a quick start to get a positive result against Portsmouth this weekend. "It's a long trip and it's a tough game - any club who plays Portsmouth in their own backyard know they're in for a game they have a very good crowd and excellent support so it will be a good atmosphere, but I think that will help us. "It's going to be a hard game against a very experienced manager who always has his teams organised. "If I was a player I wouldn't be able to wait to play in that sort of arena and the way we play and start the game can play a part in getting a result. After losing all three senior center-backs to injury, Darren Ferguson is set to welcome new defenders Andy Boyle and Tom Anderson to the squad, who both joined in the latter moments of the transfer window. The Rovers boss confirmed that both Alex Kiwomya and Luke McCullough will be in the 18-man squad this Saturday after sitting out the season so far on the sidelines. Pompey has the fifth best home record in the league, earning 29 points over 15 games at Fratton Park. There aren't a lot of goals conceded or scored either, as 40% of final results at Fratton Park is 1-0 wins or loses. The last time Rovers visited Pompey, it finished 2-1 in League Two and Rovers won the reverse fixture this season by the same scoreline. 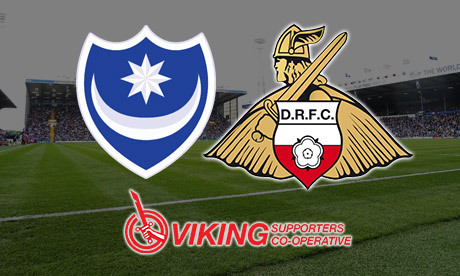 Overall, since 1947 Rovers have won only 6 games against Portsmouth from a possible 19. Portsmouth will be without former Rovers players Milan Lalkovic and Kyle Bennett, as the duo both left the club by mutual consent on Wednesday evening. Darren Ferguson is wary of coming up against an in-form Bristol Rovers this Saturday. 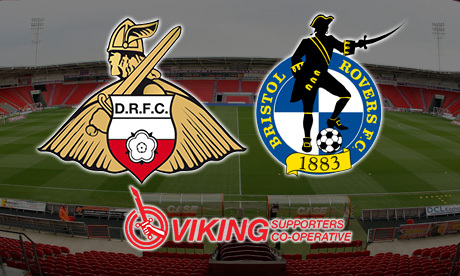 The Doncaster boss said, "I like Bristol Rovers as a team, I like the way their manager plays. We’re coming up against a team in form. They’ve got good energy, they’re aggressive, which made it a really tight game down there and through the results they’ve had since they’ve gained a lot of confidence." Long-term absentee Luke McCullough could be available as Ferguson looks for cover at center back following the injuries to Mathieu Baudry and Andy Butler. Baudry’s injury was described by the Rovers manager as a ‘small problem’ with his hamstring, which will keep him out for a maximum of four weeks. On the other hand Butler’s injury isn’t as concerning as first feared; the club captain will be out for six weeks rather than the original anticipated twelve weeks. In further damning injury news, Issam Ben Khemis as been ruled out for the season after suffering ‘really bad damage’ to his ankle ligaments. Ferguson has given the French-Tunisian time off to return home to his family in Paris. Bristol Rovers are in the middle of a good run of form, being undefeated in six. 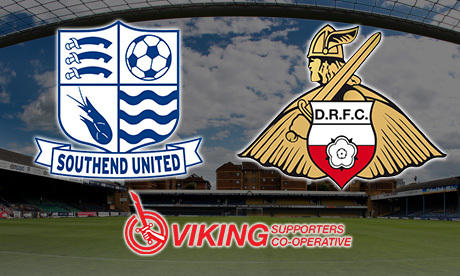 They haven’t lost since Doncaster beat them in the return fixture last year at their place. However, their away form overall isn’t looking the sharpest as they’ve only picked up a dismal 9 points in 14 games played away from home – the fourth worst in League One. Doncaster Rovers haven’t lost to the gas since March 1988, when they lost 1-0 at home. The last time Bristol Rovers visited Doncaster it was the home side who came out victorious thanks to strikes from Paul Heffernan and Brian Stock during the 2-0 win back in 2008.